Each and every one of us has our own way of de-stressing and unwinding. Some of us like to treat ourselves to some retail therapy whereas some of us are perfectly content with a pint of ice-cream and a spoon. Although those do the trick most of the time, there are times when it all gets a bit too much and you just need to get away from the madness. A weekend retreat is what we’re talking about—but not just any retreat, a full-on luxurious escape where you live a couple days like royalty because you deserve it! Here’s a list of the ultimate luxury weekend escapes from Auckland. Take a quick ferry to another island and spend your weekend at the modern and luxurious spot. Waiheke Island is not only renowned for their wineries but also the serene environment and clean crisp air this land offers. The Lantern House has made a name for itself for being one of the most luxurious forms of accommodation in New Zealand through many awards over the years. The private resort is tucked away within the hills of Waiheke Island, overlooking the crystal blue waters of Onetangi and is an idyllic spot for a much-needed escape. The interior has a Zen-like vibe of balanced symmetry from the furniture to the layout and will bring some peace to your mind. Fly away from your worries to Eagles Nest in the Bay of Islands as this retreat spot is everything you want in a mini-getaway and more. Eagles Nest has five ultra-luxurious villas, nestled in an island away from the big crowds. Although all five villas are out of this world, we just had to talk more about the Rahimoana villa as it's almost too good to be true. They take hospitality to a new level with the facilities they provide. A queen-sized bed and ensuite bathroom? Oh no! Eagles Nest goes so faras giving you your own private movie theatre, private beach and bushwalk. There is that common joke which states that you know when someone is from Wanaka as they don’t stop talking about it. But to be fair, Wanaka is truly stunning and we would be the same! Mahu Whenua Ridgeline Suites gives stunning views of Lake Wanaka and from the moment you walk in to this private destination, you know you’re in for a royal treatment. The grand Homestead offers the top facilities in terms of accommodation but also the best on-site activities, you’ll never have to leave! They have the essential spa treatments and house gym but they even go as far as offering activities such as horse riding, yoga, cooking courses and heli-skiing! Situated at the edge of the Canterbury region, Pigeon Bay is the definition of the phrase ‘off the grid’. 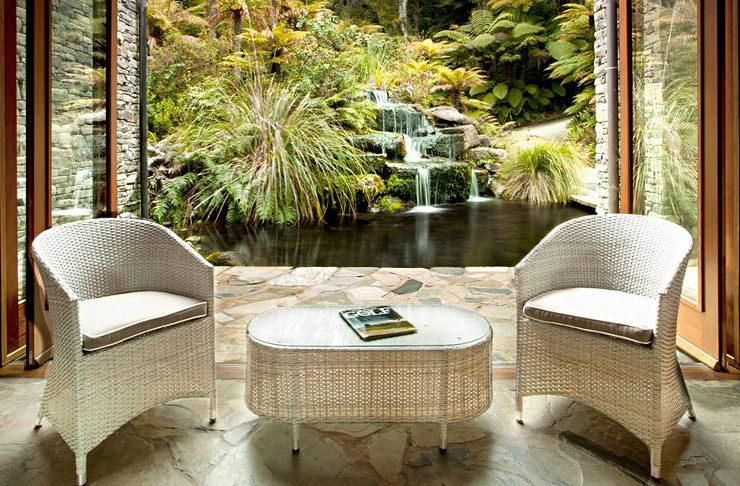 Annandale Coastal Farm Escape & Luxury Villa Collections show the best of the rural life New Zealand has to offer. With a coastline that stretches for 10km and a private farm, Annandale is famous for their farm-to-table chef experience which makes this destination ideal for the foodies out there. They only use the freshest and the best ingredients to provide their guests with premium quality food and paired with stellar service for a dining experience of a lifetime. Just under a four-hour drive from Auckland, Lake Taupo has become a common destination amongst Aucklanders for a wee escape. Have a yolo moment and take a leap of faith at the Lake Taupo Bungy and then relax at the Acacia Cliffs Lodge. Nestled up against the hills of Taupo, you get a breath-taking view of the sparkling waters of Lake Taupo. Wake up to the rising golden sunrise and make your way downstairs you get a complimentary gourmet breakfast fit for a champion. You even get to enjoy this on their outdoor deck that soaks up all the rays of the sun and gets you feeling like you’re living your best life. Nothing says boujee like a golf trip at the country club. Cape Kidnappers Golf Course is recognised as one of the best golf courses in the entire world for its lush greenery, smooth fields and top of the class facilities. Take your golf trip to the next level by going all out and booking the hilltop suite. Located at the highest point of the lodge, you’re bound to get the best view of the never-ending fields of the most beautiful golf course in the world. Robertson Lodges also offers different activities like outdoor picnics and horse riding on their spacious farm. When we say Rotorua, the first thing that pops into a lot of people’s minds would be the infamous luge rides. What a lot of people don’t seem to know is that Rotorua has the means to provide fine quality luxury! The Treetops Lodge & Estate is more than just a luxury experience as you get the opportunity to get immersed in Maori culture. From traditional Maori food and a Heritage Trail, The Treetops Lodge & Estate offer an authentic and educational experience which makes this luxury form of accommodation special. For those that really want a private retreat, they offer a pheasant cottage located 1.4km away from the main lodge. The ambience is tranquil, rustic yet classy with a wood burning fireplace that you can get cosy beside to. Hidden under the shadows of the iconic mountains of the South Island, Jacks Point Escape is everything you want in a luxury weekend escape and more. Don’t think that a weekend trip to Queenstown is unrealistic, just spare a few hours, hop on a plane and voila! Jacks Point Escape is a holiday house that is modern but homely, you’ll never want to leave. From the inside and out, this holiday home surprises visitors with something new every corner they turn. Floor to ceiling windows, show-stopping views, and wood-burning fireplace both inside and on the outdoor deck, the list just goes on. Near Mount Cook National Park is the charming little town of Twizel, offering the best of New Zealand’s scenery. 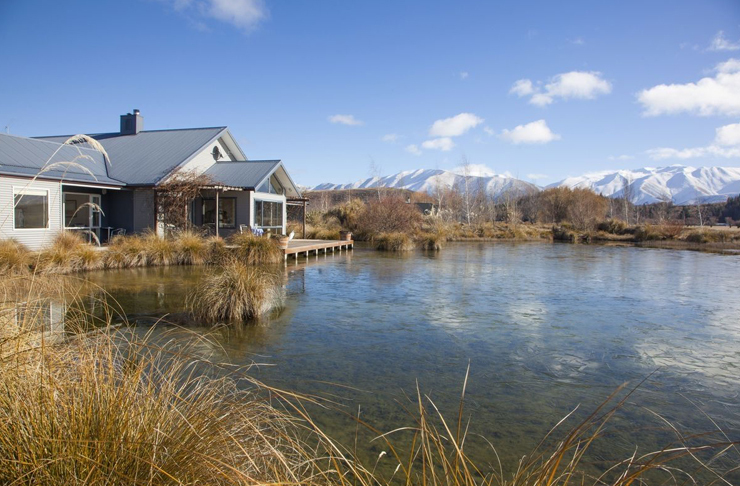 Twizel is better known for being the on-shoot location for the critically acclaimed blockbuster hit The Lord of the Rings but it’s also a haven for a weekend escape. Matuka Lodge has a north-facing outdoor deck where you can just spend hours marvelling over the beauty our country has to offer under the watchful gaze of the Southern Alps.